In discussions of the environment, we don’t hear much about sand mining. But sand mining is the world’s largest mining endeavor, responsible for 85% of all mineral extraction. 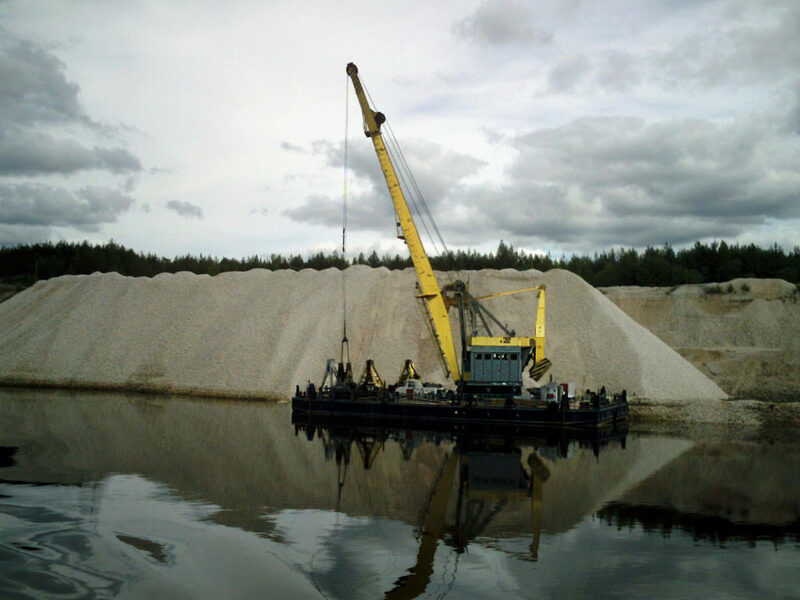 Sand and gravel are mined on a huge scale around the world. The UN estimates that the total exceeds 40 billion tons a year. Most of this activity is unregulated and unmeasured, and much of it is corrupt and environmentally destructive. Concrete is the predominant use for sand. Every ton of cement requires six to seven tons of sand and gravel in order to make concrete. But sand also makes up 90% of asphalt on roads and it is used for land reclamation in places like Singapore. Sand is also widely used in industries such as glass manufacturing and fracking. There are different sorts of sand. Desert sand is mostly useless for making concrete because its grains are too rounded by erosion and don’t bind well in the concrete. Marine sand is not great for concrete either because it has to be washed clean of corrosive salts. Sand mining is a huge problem and, to date, is one that is pretty much off of most people’s radar. Photo, posted June 3, 2017, courtesy of Andrey Talalov via Flickr.